Get out of town with these interesting Matera side-trips: Sanctuary of St Maria of Weapons (in Cerchiara di Calabria), Spiagge Le Praie (in Praiano) and Civita (Setteventi del Pollino & Chiesa di S. Maria Assunta). There's still lots to do: get to know the fascinating history of Sassi di Matera, Head underground at Casa Grotta di Vico Solitario, see the interesting displays at Museo Laboratorio della Civilta Contadina, and delve into the distant past at Materasum Ipogeo. To find photos, other places to visit, more things to do, and other tourist information, refer to the Matera driving holiday planning website . Vancouver, Canada to Matera is an approximately 17.5-hour combination of flight and bus. You can also do a combination of flight, train, and bus; or do a combination of train, flight, and bus. The time zone difference when traveling from Vancouver to Matera is 9 hours. Traveling from Vancouver in September, expect nights in Matera to be about the same, around 17°C, while days are a bit warmer, around 29°C. Finish up your sightseeing early on the 26th (Wed) so you can go by car to Paestum. Explore the numerous day-trip ideas around Paestum: Salerno (Centro Storico Salerno, Palazzo di Citta, & more) and Vietri sul Mare (Il Calypso Stabilimento Balneare, Le Vigne di Raito, & more). To find more things to do, other places to visit, reviews, and other tourist information, read our Paestum trip itinerary maker app . Getting from Matera to Paestum by car takes about 3 hours. Other options: take a train; or do a combination of bus and train. Traveling from Matera in September, expect a bit warmer with lows of 24°C in Paestum. 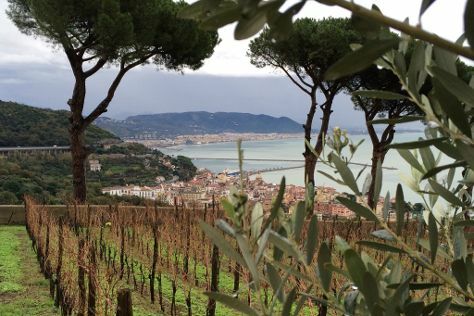 Cap off your sightseeing on the 2nd (Tue) early enough to travel to Tramonti. 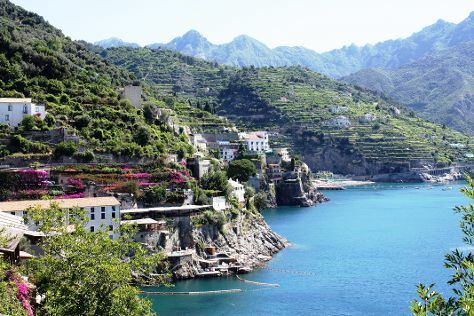 Explore the numerous day-trip ideas around Tramonti: Ravello (Villa Cimbrone Gardens & Le Ville di Ravello), Lido di Ravello (in Castiglione) and Cetara (Spiaggia Lannio & Chiesa San Pietro Apostolo). To see ratings, other places to visit, maps, and tourist information, go to the Tramonti travel route site . You can drive from Paestum to Tramonti in 2 hours. Expect a daytime high around 26°C in October, and nighttime lows around 20°C. Wrap up your sightseeing on the 10th (Wed) early enough to travel to Positano. Explore the numerous day-trip ideas around Positano: Amalfi (Wine Tours & Tastings, Duomo di Sant'Andrea, & more), Lido Capo di Conca (in Conca dei Marini) and Food Tours (in Sorrento). On the 15th (Mon), spend a cool day on the water with Plaghia Charter. The adventure continues: kick back and relax at Fornillo, enjoy breathtaking views from Torre di Grado, head outdoors with Walk of the Gods, and make a trip to Parocchia di San Luca Evangelista. For other places to visit, maps, where to stay, and other tourist information, you can read our Positano online travel planner . Drive from Tramonti to Positano in 1.5 hours. October in Positano sees daily highs of 26°C and lows of 20°C at night. Finish up your sightseeing early on the 17th (Wed) so you can go by car to Naples. Naples is the capital of the Italian region Campania and the third-largest municipality in Italy after Rome and Milan. Step out of Naples with an excursion to Villa dei Misteri in Pompeii--about 1h 35 min away. Dedicate the 19th (Fri) to wine at some of the top wineries in the area. And it doesn't end there: delve into the distant past at Gli Scavi Archeologici di Pompei, appreciate the extensive heritage of Via Caracciolo e Lungomare di Napoli, admire the masterpieces at Museo Nazionale di Capodimonte, and make a trip to Via San Gregorio Armeno. For more things to do, traveler tips, maps, and other tourist information, go to the Naples road trip planner . Getting from Positano to Naples by car takes about 1.5 hours. Other options: do a combination of bus and subway; or ride a ferry. Traveling from Positano in October, you can expect nighttime temperatures to be a bit cooler in Naples, with lows of 17°C. On the 25th (Thu), you're off tohome.